Compositeworks are pleased to announce that following their acquisition last year by the MB92 Group and their subsequent 100% takeover of the Blohm+Voss La Ciotat activities this summer, they are changing their name to MB92 La Ciotat. This rebranding will be activated across all communication mediums over the next few weeks. 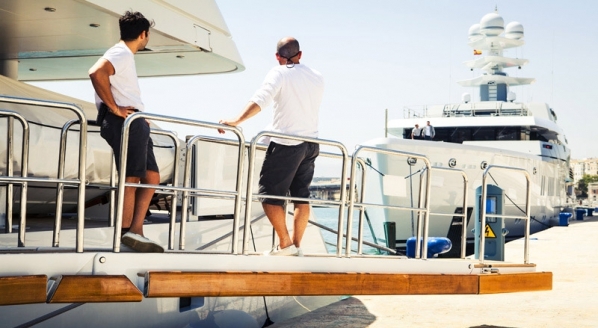 After months of sharing expertise, experience and best practices between Barcelona and La Ciotat, both shipyards discovered that they held similar beliefs in the value of teamwork and a shared passion for excellence. Following this discovery and the wish to present transparency and clarity to the market place, it was unanimously decided that Compositeworks should adopt the MB92 brand. However, it was agreed that as both shipyards are located in different, albeit com­plimentary locations, these distinguishing characteristics should be highlighted in the new visual identity of the shipyard. MB92 La Ciotat therefore retains a blue colour, to remind us of the proud Compositeworks history and the continuing high quality to be found at the yard, and the shape of the logo is inspired by the shape of France, reflecting also the advantages of a location that is close to Mediterranean cruising grounds and within two hours of the yachting hubs of Monaco and Antibes. 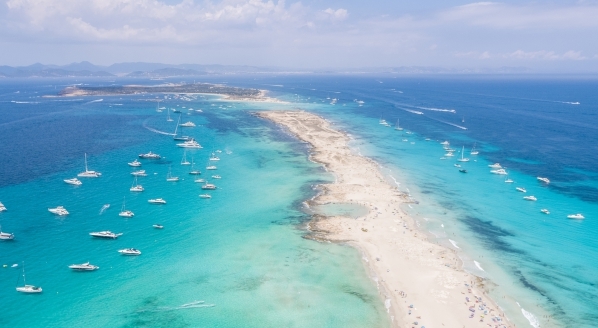 It is also situated next to the wildly beautiful Calanques National Park enabling a huge array of leisure activities in and out of the water. 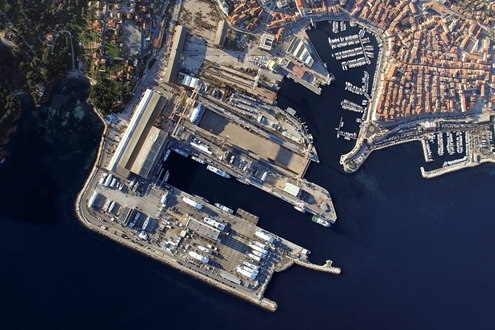 La Ciotat is also the site for a future 4,000 tonne ship lift for which MB92 La Ciotat has submitted a proposal. The new brand will operate alongside MB92 Barcelona under the MB92 Group umbrella. Both shipyards share strong values upon which they can work together. As the MB92 Group increases its global offering, each shipyard will continue to provide the same level of service, expertise and commitment on a local scale. A Dogus Group representative, Mr. Aykut Ozgulsun also expressed his thoughts and commented that “We are very proud to be making this announcement. A lot of work has gone on over the last year to make this happen and we strongly believe that our clients and partners in the superyacht refit and repair industry share our enthusiasm for the opportunities this latest development will bring”. Ideally located in the South of France, MB92 LA Ciotat (previously “Compositeworks”) is an award-winning ship­yard delivering world-class yacht refits, maintenance, paint works and complex rebuilds. Since its inception in 1998, MB92 La Ciotat has delivered over 1000 projects, managed refits for over 25% of the world’s megayacht fleet (over 85m) and forged an international reputation for exceptional service, technical knowledge and timely deliveries. 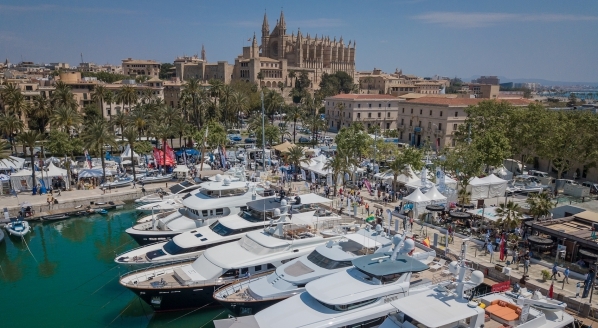 MB92 La Ciotat’s international team of over 120 professionals have combined yachting and refit experience of over a thousand years and are totally dedicated to fully satisfying client demands. At the end of 2017, Compositeworks was acquired by the world-leading Group of refit shipyards MB92 Group. In Au­gust 2018, the MB92 Group acquired Blohm+Voss La Ciotat and merged their activities with those of Compositeworks.In September 2018 Compositeworks became MB92 La Ciotat. A member of the Dogus Group, the MB92 Group is a group of shipyards - MB92 Barcelona and MB92 La Ciotat- , bringing together the professionalism, knowledge and resources of both shipyards to cater for client needs today, and is committed to investing for those of the future. With 25 years’ experience in superyacht refit and repair built on the foundations of a customer–driven approach to service delivery, the MB92 Group has developed a reputation for providing a comprehensive world class service. The group offers unrivalled facilities and employs a workforce of over 250 in-house professionals from 20 different nationalities. Supported by a global network of specialists and suppliers, the team is dedicated to delivering projects on time and with the utmost care, attention and quality. 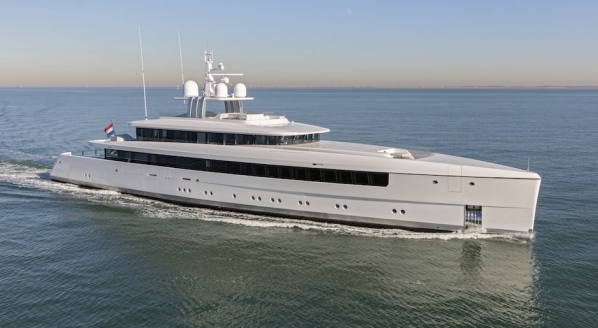 The entity that submits this press release to SuperyachtNews.com hereby accepts sole responsibility for the facts, accuracy and completeness of the content. All content and mediums submitted are an acknowledgement of the suitability for publication. SuperyachtNews.com accepts no liability or responsibility for any inaccuracies or errors made by the submitter in this regard.